Usually a market analysis includes a view of the industry you’re in. People expect to see a picture of the industry with factors such as industry trends, industry growth, recent developments, common keys to success, how concentrated in how many big players, how many total participants, and similar factors. The details depend on the industry and the specific nature of the business plan event. 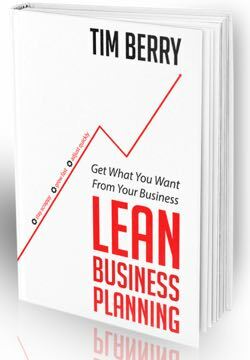 And you, the business owner, obviously need to know your industry well in order to survive – whether you write down what you know in a formal plan, or just keep it in mind with strategy and tactics, in a lean plan. Do this if it fits the objective, but don’t weigh your plan down with too much information. I recently advised an entrepreneur developing a new bar in a resort area to summarize his lengthy analysis of the bar business in his main plan and move the bulk of it into an appendix. Start an industry analysis by looking at existing, similar businesses. Do a good web search for available information that might come from market studies, trade associations, industry experts, blogs, and so forth. Look at the websites of major competitors and local competitors. And don’t forget the obvious real-world research, visiting and shopping existing businesses. If you are planning a retail shoe store, for example, spend some time looking at existing retail shoe stores. Park across the street and count the customers that go into the store. Note how long they stay inside, and how many come out with boxes that look like purchased shoes. You can probably even count how many pairs of shoes each customer buys. Browse the store and look at prices. Look at several stores, including the discount shoe stores and department store shoe sections. If this is your first time with a business, you can’t afford not to know how it works. Being new is not a reason not to know, but a reason to make sure you do. For some kinds of business, you can find a similar one in another place, and talk to its owner. If you are planning a shoe store in a university town in Wisconsin, talk to the owner of a store in a different university town like Ann Arbor or Champaign. Make your target owner far enough away that your new store won’t compete with his. Call the owner, explain your purpose truthfully, and ask about the business. Many people like to talk about their business, and to give advice. Always shop the competition if you can. Visit the websites, make an order, and see how well that order is handled. If you’re in the restaurant business, patronize your competition once a month, rotating through different restaurants. If you own a shoe store, shop your competition once a month, and visit different stores. If you’re considering starting a new business, talk to potential customers. Talk to people coming out of stores. Talk to your neighbors, your friends, your relatives. Ask them how often they buy, what they buy, where, at what price, and whatever else you can think of. If you’re starting a restaurant, landscape architecture business, butcher shop, bakery, or whatever, talk to customers. If you have an ongoing business, the process of developing a plan should still include talking to customers. Take a step away from the routine, phone some of your customers, and ask them about your business. How are you doing? Why do they buy? How do they feel about your competitors? Take a customer to lunch once a month, just to keep yourself in touch.